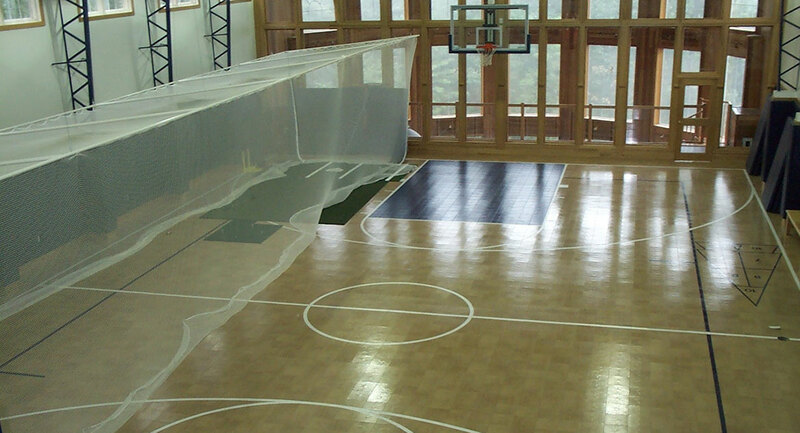 Sport Court of Massachusetts builds more than a backyard basketball court; our CourtBuilders™create a safe place indoors for your family to laugh, play and build memories, a place that your family will never outgrow. And we’ve been doing it for 20 years! Let us design a space that your family will enjoy for years to come - why go to the gym when you can enjoy the gym at home! Give your family a practice area with flooring that incorporates shock absorption with built in Lateral Forgiveness so they can perform at their highest levels with less stress on knees and joints. Our flooring reduces the likelihood of a head injury from impact according to testing based on the Head Injury Criterion (HIC), a nationally standardized test. 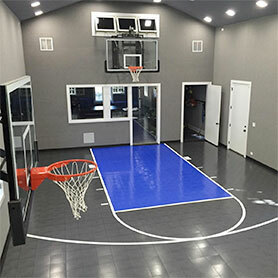 Sport Court Home Gyms are designed to fit any space and incorporate many activities and purposes- yoga, weight training, fitness equipment, floor hockey, dance or an indoor basketball court, Sport Court of MA can design a space that the whole family will utilize and enjoy. 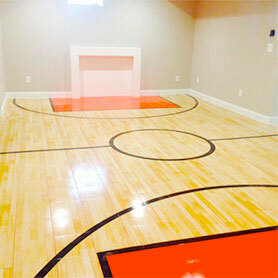 No matter if you want a home gym where your kids can practice day and night to take their athleticism to the next level or you want to know where your kids are by having the hangout house, give your kids a reason to turn off the video games and have some fun.